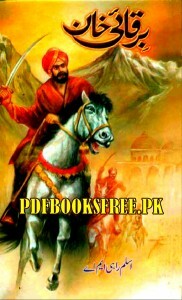 Barqai Khan is a historical Novel Authored By Aslam Rahi M.A contains history and life story of the famous Mongol Tatar commander Berke Khan or Birqui Khan in Urdu language. Berke Khan was the grandson of Genghis Khan. Berke Khan or Birqui Khan was the first Mongol who was converted to Islam. He embraced to Islamic in Bukhara. He fought against Halaku Khan in support of Muslim world. Lets see the Makiyar, Karghizies and Bashkirs Muslim in action in the valleys of Raver Volga, Rever Viyatka and raver Bella. Barqai Khan novel is now available to read online and download. Visit the the following links to read online and free download Barqai Khan book in Pdf format for offline reading and references.